In this blog article, we highlighted the options, process and things to know about making your plumbing selections during a new home build or renovation. In this issue, we overview drywall, trim and paint options for your project. After framing, mechanical rough-ins and insulation are complete on your new home or addition project, the interior begins to take shape. Next, drywall gets hung and finished, trim is installed and painting begins. These three items will go far in determining the look and feel of your interior spaces. Drywall: This is the product that covers your framing and creates your wall space. You may not think there is much customizing when it comes to drywall, but one major design option entails the corners you choose. Drywall corner beads come in two styles: 90-degree corners and rounded corners. 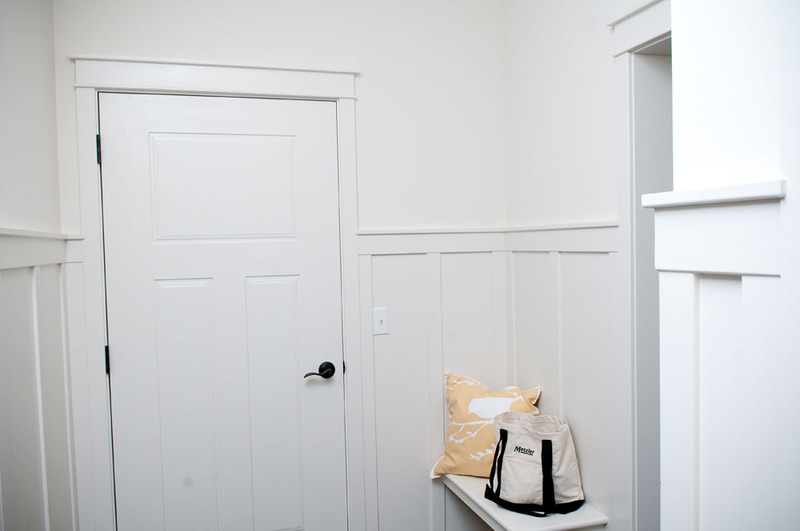 A rounded corner provides a softer, gentler look and is usually a fairly minor cost upgrade, but some homeowners still prefer the clean, classic look of the standard 90-degree corner. Many different trims are available. Popular styles include colonial trim and a simple flat trim, which is complementary to a craftsman style home. 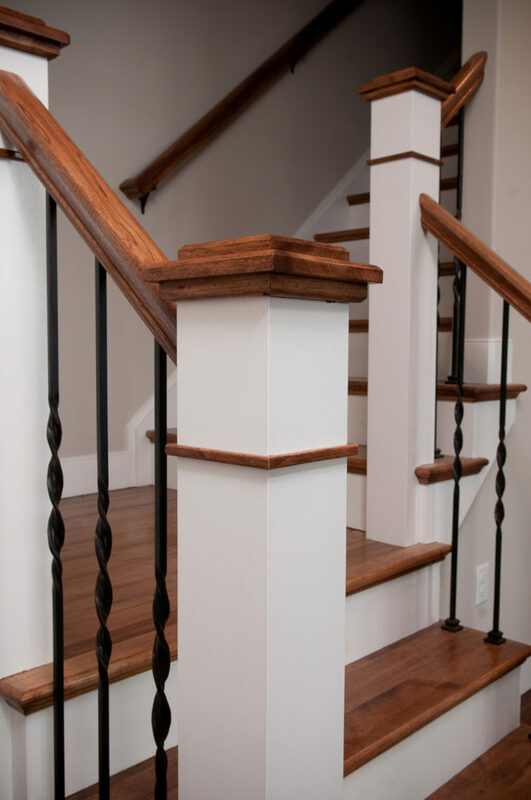 Interior doors, fireplace mantles and stair details (handrails, newel posts and pickets) are also items that can customize a home and are all part of your interior trim selections. Paint: Once the trim work is done, painting walls and trim is the next step in our process. 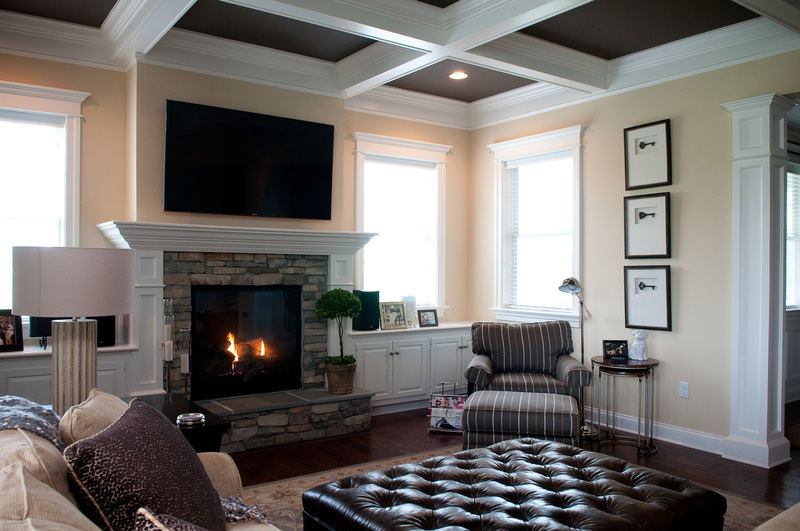 Choosing colors to highlight specific rooms is often an upgrade our customers select. Kitchens, dining rooms, bathrooms and bedrooms are all good choices for adding color – whether it is the entire room or merely an accent wall. There are also many types of paint available. We typically recommend a flat paint for ease of touch up. Although it isn’t a “scrub-able” paint like an eggshell finish, flat paint covers small imperfections in drywall and because it is easy to touch up, it makes this a more affordable option. For those concerned about chemical emissions from paint, we also offer a zero VOC option at a reasonable upgrade. Posted in Design, New Construction, Renovations on April 22, 2015 by metzler.